Missouri: Hearing Scheduled for TOMORROW on Constitutional Carry! Tomorrow afternoon, the House Select Committee on General Laws will be voting on HB 1468 — Constitutional Carry law here in Missouri! This bill is the next step for gun rights here and would mean that law abiding citizens wouldn’t be required to pay fees, go through bureaucratic red-tape, and get added to a government database just to exercise a Constitutionally guaranteed right! 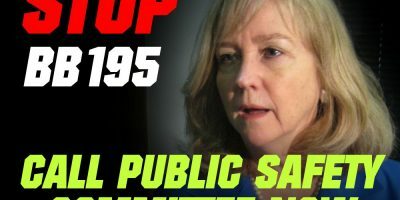 This bill became law in West Virginia last week, and is moving through committees all over the country as I type this! But out of touch anti-gun forces from the St. Louis Post-Dispatch to NYC BILLIONAIRE Michael Bloomberg will stop at nothing to kill HB 1468 — in fact they are already mobilizing their people. So please, whether you’ve already called and emailed the members of the committee or not, please do so again right away! The committee members, their contact information, and a sample email to them is listed below. Once you’ve done that, please forward this email to every pro-gun friend you have to get them involved in this fight, and please consider chipping in $20 to help me mobilize more gun owners here in Missouri! I’ll be sure to update you on what happens tomorrow! The entire nation is watching! Gun owners in West Virginia forced the legislature to pass Constitutional Carry legislation last week, including an override of the Governor’s veto, notching up one more state that allows citizens to carry without needing government permission. Every time another state passes this law – our collective gun rights take a step forward. Now it’s our turn, and gun owners are watching to see if Missouri becomes the next state to make Constitutional Carry a reality! And the good news is, we’re making progress! I’m pleased to report that thanks to your calls, emails, and Facebook messages to the members of the House Emerging Issues Committee — the committee approved our Constitutional Carry bill (HB1468) and advanced it with no weakening amendments! Now the bill moves into the House Select Committee for General Laws, and the process is repeated. As a reminder, the Missouri Constitutional Carry Bill would restore the right of every law-abiding Missouri citizen to carry a gun to protect themselves and their families — WITHOUT going through a bunch of bureaucratic rigmarole! As I said a moment ago, gun owners all over the country are watching this fight! But this also means that anti-gun forces both here in Missouri and outside organizations such as those funded by radical gun-grabbers like Michael Bloomberg will also now be mobilizing their forces in an attempt to shut down this crucial legislation. That’s why it’s vital that you contact the members of the House Select Committee for General Laws and insist that they pass HB1468 through their committee with no weakening amendments! Remember, it’s your calls and emails that make all the difference when legislators decide whether or not to pass legislation. Anti-gun forces will be mobilizing their people. We need to do the same! That’s why I’m counting on you to make your calls and send your emails to the committee right away. Once you’re done, please send this email to every one of your pro-gun friends and family members here in Missouri – get them involved in this fight too! Finally, if you can, please consider chipping in $10 or $20 to enable the Missouri Firearms Coalition to mobilize even more gun owners by email, social media, and direct mail if we have time! But please make your calls and send your emails first, that’s most important! P.S. Thanks to all of your calls and emails, the House Emerging Issues Committee has advanced Constitutional Carry legislation (HB1468) out of their committee with no weakening amendments! Now the bill moves to the House Select Committee for General Laws – meaning that you and I need to redouble our efforts and make sure that this bill doesn’t die in Committee. 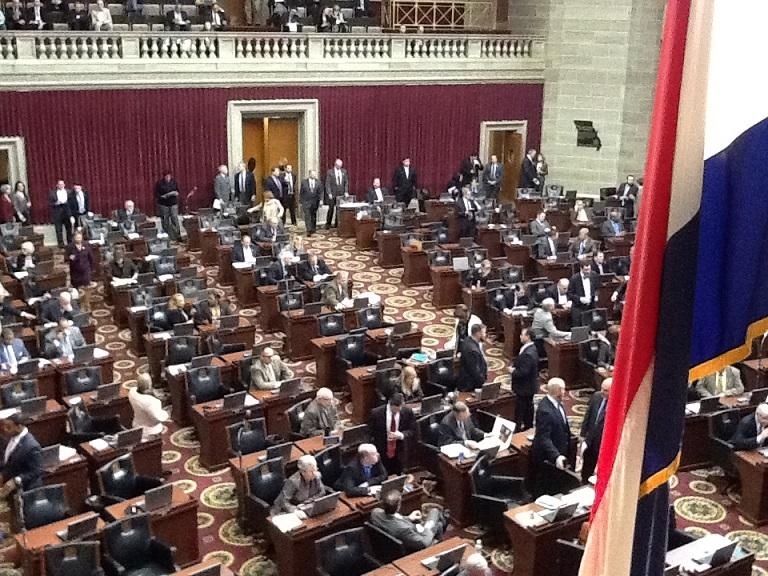 After all, as the nation watches to see if Missouri becomes the next Constitutional Carry state, you can be sure that anti-gun forces will be mounting a major challenge to this legislation! So please immediately call and email the members of the committee and insist that they advance HB1468 right away! Once you’re done, please consider a donation to the Missouri Firearms Coalition to help us get the word out to more gun owners! Constitutional Carry legislation, HB1468, recently passed out of the Emerging Issues Committee and is now in the House Select Committee for General Laws — on which you serve. 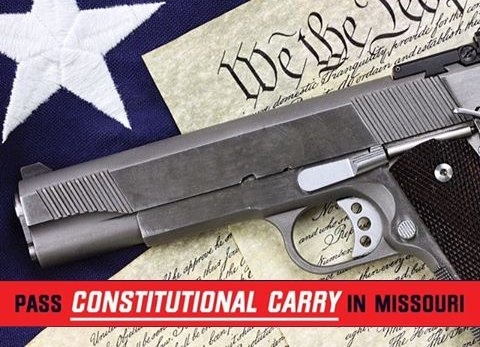 Constitutional Carry is a very simple bill that simply allows law abiding Missourians to carry a firearm for self-defense without having to go through a bunch of bureaucratic hassles, pay heavy fees, and be added to a database. Anyone currently unable to own or carry firearms would remain ineligible under this law and the current Shall Issue permit system would remain in place for those who want the optional permit. Constitutional Carry became law in Kansas last year, West Virginia passed it just last week, and it’s on the books in another half-dozen states! Please vote in support of this important legislation when it comes up before you. Constitutional Carry Passes Full House Committee!